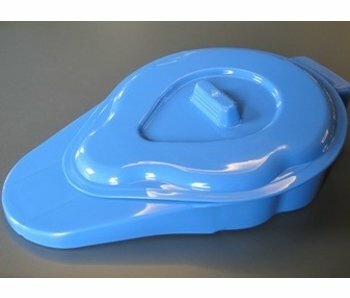 This extra firm toilet framework fits anywhere: You can adjust both the height (62.5 to 79 cm) and width (51 to 56 cm). The depth is 49.5 cm. The model economy is only in height (69.5 to 85 cm) and can be loaded up to 160 kg. 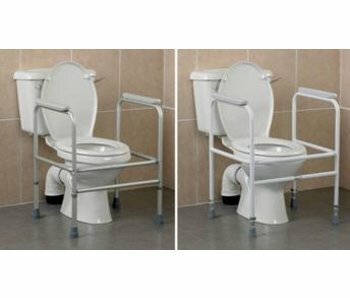 Manufactured in aluminum with extra wide elliptical tubes. As a result, one gets a wider bearing surface than in any other bracket. 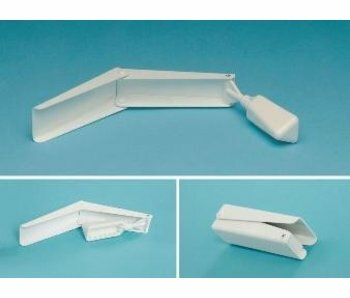 The width of the bracket is 6 cm. 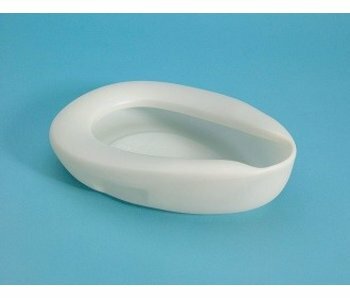 Toilet seat 10 cm thick. 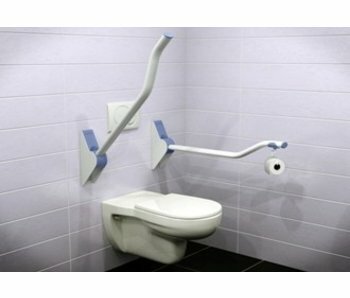 Is attached to the toilet with 3 adjustable clamps. Bracket in steel coated with an excellent price / performance ratio. 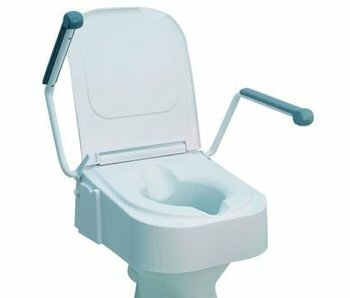 Toilet seat with lid and retractable armrests. 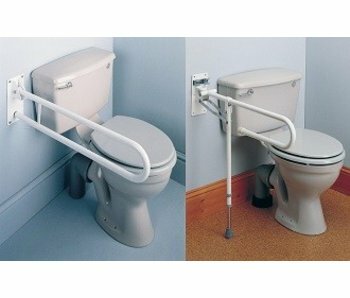 The toilet seat is height adjustable in three positions: 6,5 - 10 to 13.5 cm. 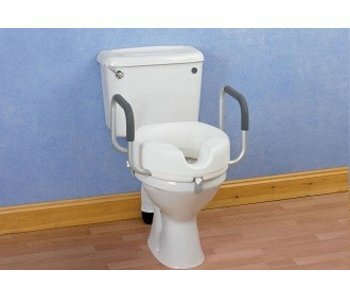 Toilet seat in chromed steel with 4 wheels, 2 brakes. 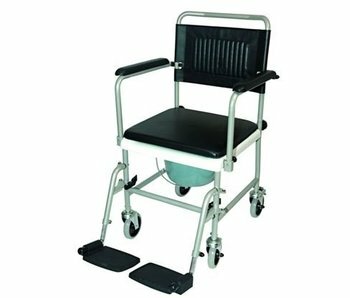 Equipped with removable and adjustable footrests. 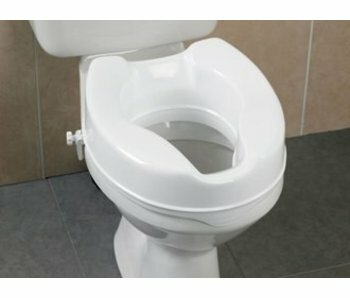 The armrests are folded away for easy transfer. 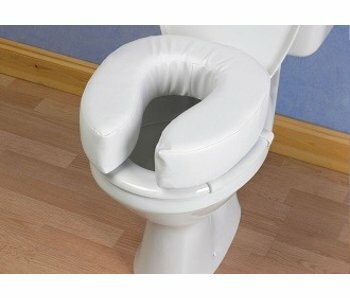 Soft pillow in the shape of a toilet seat is fixed with 4 velcro straps to ordinary glasses. This makes it easy to apply and remove. 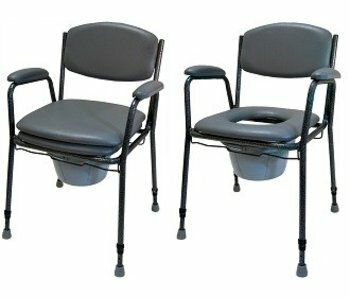 Comfortable padded seat, seat cushion, backrest and armrests.